NOTE : We have split this report in two sections because of the amount of great fishing photos we had. Give yourself a treat and make sure you read both parts! The second part is all about kayak fishing. Hope you drop into the shop and check out our great deals on fishing tackle. He has great deals on fishing rods, fishing reels and spectra line. North Island kite fishing over the last month has really picked up. 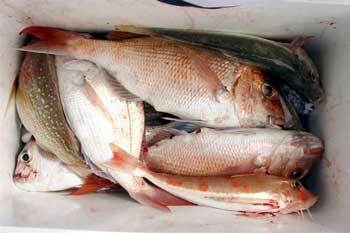 The east coast from North Cape to the Bay of plenty is currently full of schooling snapper. 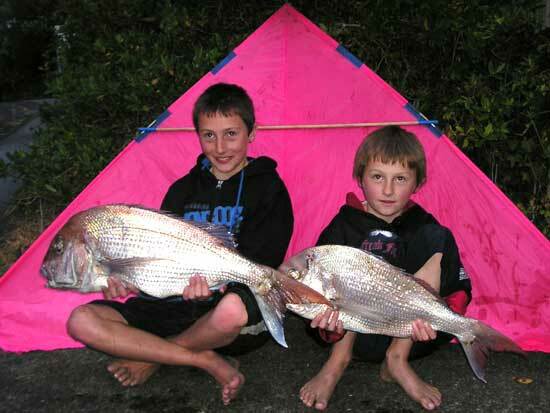 The incessant south westerlies over the last few weeks have allowed kite fishers ample opportunities to take good hauls of snapper. Around the 25th of November the wind is forecast to go easterly and this should persist for around 8 to 10 days. The west coast is currently fishing very well with good catches being reported by kitefishers from 90 Mile Beach right down down to Taranaki. 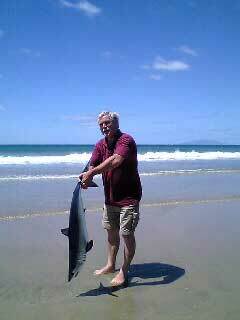 Mike fished late in October from Muriwai beach with a big kite Dropper Rig. After two perfect sets of 20 hooks baited with kahawai he reports catching four snapper, six gurnard and two kahawai. The winds were moderate easterlies, the tide falling and the surf was slight. Both sets went straight out. Kite fishing expert Rob Nelson from Paul's Fishing Kites fished a big dropper rig on the southern side of Te Arai Point, the winds were light and the swell was minimal. Setting three sets of 20 hooks baited with a mixture of squid and mullet, Rob and Sam Naden wound up with 13 snapper, three kahawai, one gurnard, one stingray and a mako shark. While retrieving the final set for the day another fisher showed up and set out his electric kontiki rig. While Rob and Sam were packing up the kontiki was retrieved but had caught nothing. Rob said the shark was an irridescent blue on top like a mako shark but had teeth like a white pointer. Ring Rob at the shop for these and many other hot deals on fishing tackle in store NOW! Steve Barnes thought it was about time to teach his grandsons Kevin and Mathew Barnes a secret or two on how to catch REAL snapper as they hadn't had much luck in the boat. The wind on 10th Sept was a good easterly breeze and they drove up Muriwai 5kms past Rimmers Rd. They put out two sets using fresh mullet bait on a bottom line rig with a Night Hawk Kite and Sky Hook for extra pull. The boys were so excited waiting at the waters edge as the fish came to shore and helped bring in enough kawhai, snapper and gurnard for a good feed. There are now two new young fishermen who believe that kite fishing is the best way to catch fish and ask every week to go again. 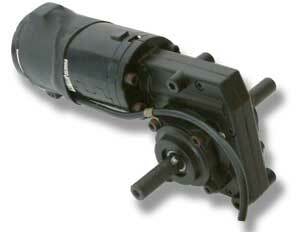 Thirty surplus CROWN 24 volt geared wheelchair motors with batteries, chargers, switches and motor controllers are now available. The fish are biting at last! Went down last night about 7pm and got eight nice snapper and one gurnard. We were using kahawai and mullet for bait. The wind was west and the kite went out nice and straight. The tide was on the way in, which is the tide we like most. It was a great night! We got 12 of these (nothing huge) out the back of Rangitoto on Monday. We also managed three gurnard and two lemon fish. We had to work fairly hard for our fish and set the boat longline a few times to fill the bin. We went to Muriwai Beach on Thursday 27th October and drove 6.8 kilometers up from the golf course entrance. We only did two sets for the day. The first set caught seven good fish. On the second set we caught the small snapper and small Kahawai. Went with a mate out to Waihi Beach to put out my delta kite. We ran out 11 hooks on a dropper rig . When we pulled it in 40 minutes later we were overjoyed to find this beautiful 4kg snapper. It had taken one of the floating traces. We also caught a couple of pan size Kahawai . I am new to kitefishing so this was awesome! Peter Walker from Maungaturoto and I finally got out to do a kite set in between feeding calves and lambing. We went out to Glinks Gully and, being week day, it was great to have plenty of room to fish for a change. The winds were more easterly than the forecast northeast, so we put a tack on the left hand side of the Paul's Fishing Kites nighthawk kite and fired it out. With around 20 knots of wind we didn't need to use the skyhook and the results for the day's fishing was great. From our first set we landed 7 snapper, the second set returned 10 snapper and the third set of the day caught another 10 snapper. We also managed one spotted dogfish and one gurnard as well. All in all it was a great day out and Peter told all the local fisho's at the Maungaturoto Pub about our excellent fish, all good sized with the biggest around 3kg. The kite flew extremely well, just like a 747. 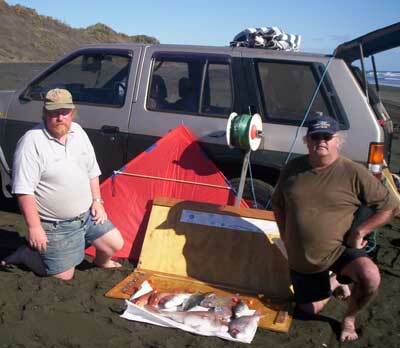 Left : The fish they were catching at Ohakea airfield last Sunday. It was Father's Day Annual Kite Fly In. Until the wind came up, my Mega Mouth and a few others were the only kites flying. 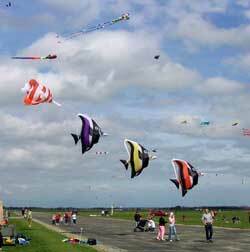 Ed : Kite festivals are a great family day out, it's amazing to see. Kevin fished 90 Mile Beach on the 9th September and caught five snapper and three gurnard. 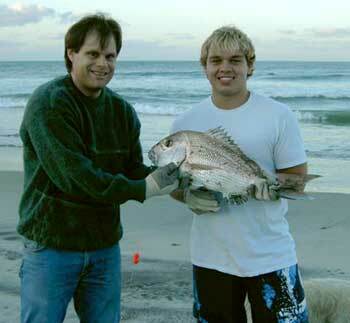 The three heaviest snapper were 5.2kg, 3.9kg, 2.7kg. He also fished on the Sun 11th September and caught a 6.4kg Snapper, which won the kitefishing clubs silver pin for the month and this fish is the heaviest snapper caught by a member so far this year. 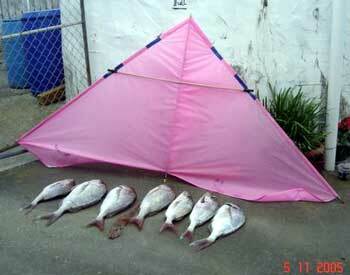 We fished a single set of a Paul's Fishing Kites Dropper rig on an incoming tide in mid November. There were strong north easterly winds, the surf was slight and the gear set out almost straight off the beach. We set 20 hooks and caught five snapper, two gurnard and a kahawai. I use a Paul's Fishing Kites Dropper rig on a hapuku set up - the reel is a Penn Senator 9/0. I fished on the 4th November, the wind was a strong south westerly so I just used the delta kite without the skyhook attached. I got my gear out before dark and fished one nine hook set for an hour around the high tide. I also attached a flashing beacon to the bottle so I could see my dropper. The 1200 meters of line set out at 45 degrees angle so the hooks were probably around 800 metres offshore. I got a great return of four snapper, two gurnard and a shark on the trailing end hook. 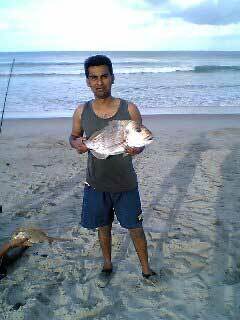 200 metres up the beach an electric kontiki fished for an hour for 17 snapper and two gurnard from a 25 hook set. The fishing was great and I got home by 10.00 p.m, both of were using mullet for bait! Part 2 Of This Report is here >>>>>WOW!!! Miss a newsletter or want to check out the back issues?